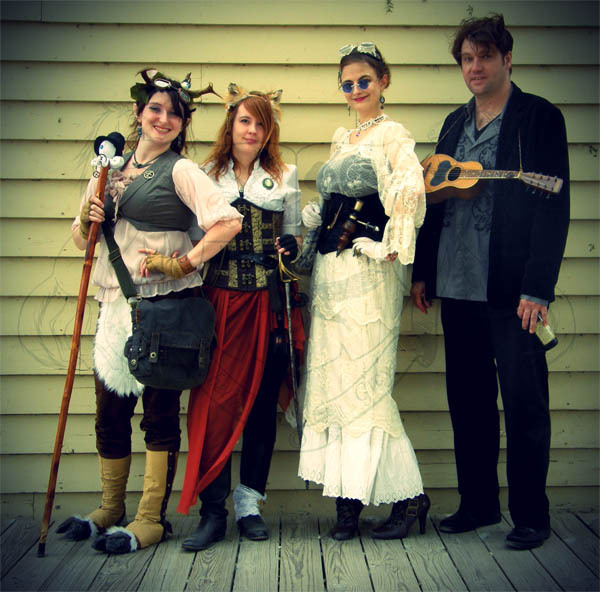 Deena, Viviette, Cat, and a travelling troubadour named Sean. 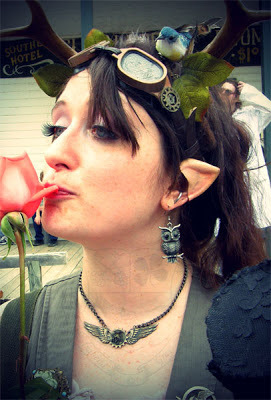 A few weekends ago, I had the wonderful opportunity to attend the annual Steampunk Day at the Old Cowtown Museum. I've covered the topic of Steampunk a few times before on this blog, but it's always such a great time to see the persona's and gadgets that others come up with! 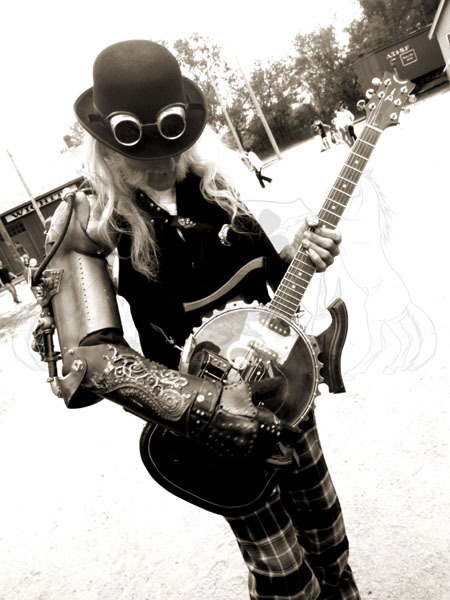 Gregor, the museum curator, showing off his custom created bango. 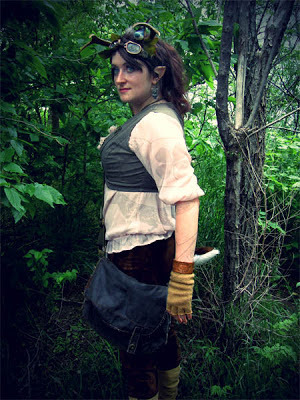 Thanks to the amazing nature of Cowtown, and all the creative artists around Kansas, Steampunk day was a huge success! 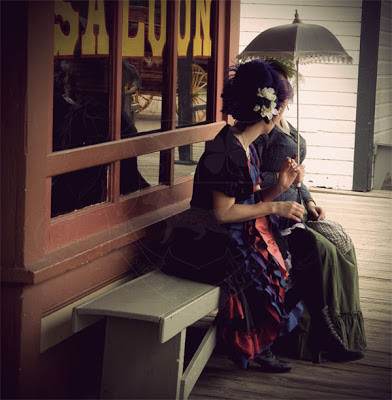 There were science demonstrations, shows in the saloon, tons of vendors from various airships all selling their wares, and even a movie shoot! I went with a few friends, some in Steampunk garb, like I was, and some not...but everyone had an awesome time! My companion, Deena the Deerling, enjoying a light lunch. Please, feel free to enjoy the photos from the Steampunk Day at Cowtown, and feel free to stop by the museum next time you're in Wichita! A few of the Saloon Girls decided to take a reprieve from the heat. Deena, having a romp through the woods. Viviette, watching her companions from afar. As the swordswoman of the ship, she is always ready to draw her blade. 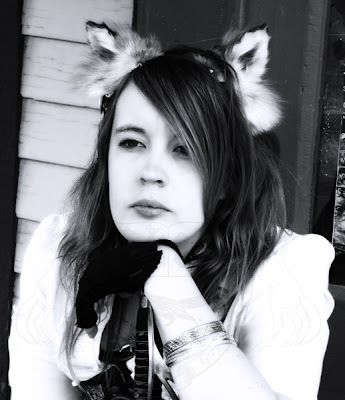 Being the quintessential fox, Viviette is always snooping where she doesn't belong. 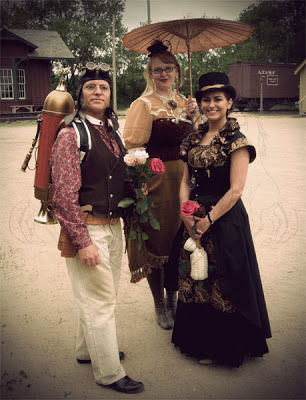 Some of the lovely people who attended the Steampunk Days at Cowtown.